Wonderful news! ABBA’s last studio album The Visitors is to receive the ‘Deluxe Edition’ CD treatment. As with previous releases in the Deluxe Edition series, this version of ABBA’s final album offers a DVD of archive material along with CD bonus tracks. Notably, it includes (what sounds like it could be a musical journey through the evolution of Like An Angel Passing Through My Room) a demo medley called From A Twinkling Star To A Passing Angel, the first previously unreleased ABBA recordings since 1994! The Deluxe Edition of The Visitors, ABBA’s eighth and final studio album, will be released on April 23, 2012. Originally released in 1981, the album features single hits such as One Of Us, Head Over Heels and When All Is Said And Done, along with Slipping Through My Fingers, which is highlighted in one of the more poignant moments in the Mamma Mia!musical. Dear Ice, didn’t I tell you that the debate is going to be awesome? If there is a place and people that know something about the word crisis, as someone talked about it here, that place is Argentina and that people are we Argentinians. Life is always a mix of joy and sadness, ups and downs, whether economic or emotional ones, but I feel that is no excuse for not giving the best of you…And I strongly feel that JLT is an excellent track that could stand alone and which has chart potential..The lyrics are good, the singing is good, the choruses are wonderfully worked by AGNETHA & FRIDA and fit well with the verses, the saxo is magnificent. don’t know, geniuses artists or not with their right to have an opinion about their work, universal or world music that is what I feel and think about it. I have loved Abba since 1976 when I was 11 years old. Sorry everyone but some of the commenst are a bit scarey and rather intense. We have passion about them and that is wonderfuil but lets be grateful for what we do have. i really dont think Benny and Bjorn are remotely interested in a song from thirty years ago-they’ve moved on already to greater and more interesting things. Just Like That is a wonderful song and available on youtube-i would love to have an official recording but wont be debating it. And B&B had moved on, indeed, but the theme is far from completed. ABBA one way or the other, had been prolific artists. Something that has not been fully portrayed with the “Complete Sessions”, so this conversation goes way way beyond the JLT song. Would you appreciate only the Classical Master’s final versions, sometimes not even completed by themselves as many Operas, ballets, etc had proven. What about the many existing variations, versions and interpretations that abound? …But this is just Pop music?! I do hear a little voice saying. Without getting there, I’d listen what these small words really mean for many people and how deep that meaning runs.. .
I’d write here my personal questions list: What about the 83-84 dance remixes album of ABBA songs that allegedly Bjorn And M Tretow did? 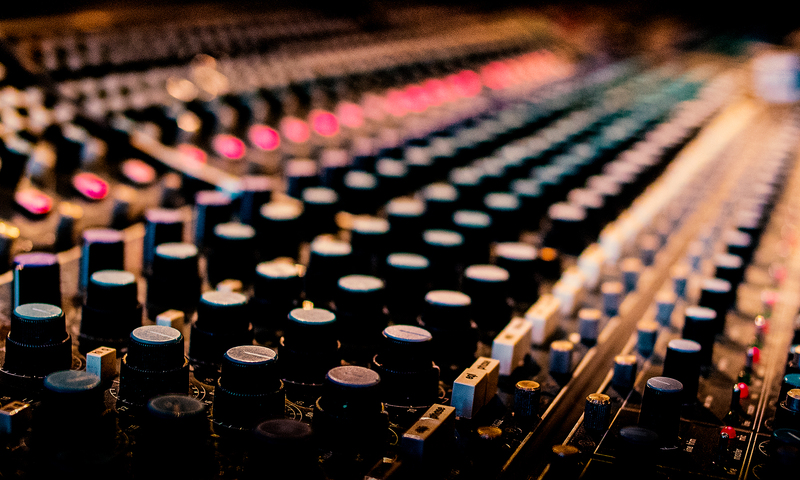 What about the (in the studio) rehearsals for 77, 79 Live Concerts, weren’t they recorded?? What about the instrumental tracks being played Live as time refill on the fantastic and unique sounding GX-1 synthesizer?? I wasn’t there but could hear bits on the 79 BBC live. What about the confirmed dozens versions of SummerNightCity Mr Tretow produced??? (Imho people have not really been given the chance to actually hear the glorious arrangements its verses have)? Nevertheless, I still love so much what I have already received from the four of them, that just a regular an unfinished song listen, small scarce beautiful music bits, or just a prospect of what might be stored, lights my senses in awe. A tranquil feeling, Andy, but still expectation, arousal, etc filled. Didn’t Benny and/or Bjorn once say that the Gemini version is the final version of “Just Like That”. It may make them feel that issuing an ABBA version would in some way make the Gemini version seem less definitive. I think it certainly would! Also, I know they have said that the ABBA demo isn’t complete. They would probably have wanted to restructure it, or record new verses, etc. Today, that is obviously out of the question. Anyways, as the demo versions stand, B&B released the best part of it on ABBA Undeleted – the chorus! So at least we have that. Ultimately, I completely respect B&B’s artistic right to release what they want. I think hearing alternative versions/mixes is really fascinating. When reading through CMP The Complete Recording Sessions book I often wonder what made B&B go with the released version over the unreleased version(s)? What wasn’t working? Why did they change lyrics? Why did they re-arrange backing vocals? I’d love answers to those questions but I doubt they will ever be answered so if we had some unreleased songs to compare you might get some sense of why. For example I can understand why ‘Put On Your White Sombrero’ wasn’t released at the time. It doesn’t flow with the album. I don’t understand why ‘Summer Night City’ had it’s slow intro cut because it makes the song even better and the same for the edited verse in ‘On And On And On’. B&B have their reasons and I respect that but I would simply like to know why and how they got to decide what they did release and I’d love to hear why. 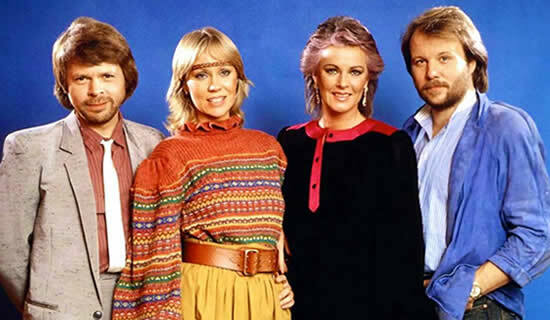 As for ‘Just Like That’ I’ll keep on enjoying the chorus from ‘ABBA Undeleted’ – the verses came to so much better use in the brilliant ‘Glöm mig om du kan’ from ‘Chess på svenska’. This sounds interesting. I wonder if any of these versions feature Agnetha? In the book The Complete Recording Sessions it states that “the first recording featured vocal contributions from both Agnetha and Frida, as well as keyboards, guitar, bass and drums”. So I hope at least one of the versions included here show both the girls voices. This whole 9 minute medley of one song is a very interesting idea and one I wished they had included on the previous deluxe editions. I wonder how long it will be before there are calls for the full disco or ballad version to be released in full a la “Just Like That’ debate?! What’s happened to the official ABBA website? When I click on it, it goes straight to their facebook page. Am I loosing the plot??? I wonder if B & B would ever read or listen to what we, the fans, are thinking about their music and their releases? Who cares about Just Like That? : only US…the devoted fans. So, what damage will it cause to ABBA career and image, the releasing of this wonderfull song?? What damage would do to the great honour of this super group?? I respect Benny & Björn very much, as an ABBA fan and as a great music lover, but I don’t agree with their “policy” of not touching their original songs as they we recorded then. Com on guys! The original songs are untouchable and no one will forget what they meant to the world! Release JLT, all the LIVE songs, every demo you have, the studio songs in real multi channel 5.1 because… ¿who cares about it?? No one, but we THE FANS that always love their music and trustly, faithfully and loving follow You till the end of times. And is more than 30 yers ago the band disrupted. Thank You and sorry if I’m feeling too much vehement about this point. ‘Super Trouper’ – No.146, in 2011.
more money out of them. ‘The Visitors’ will not be in the UK Top 100 next Week. The Visitors Deluxe Edition is certainly the most interesting release from ABBA and Universal so far. The sound quality is far better than the previous Deluxe Edition, Super Trouper, where the entire album sounds flat and very muffled. We are treated to the wonderful 9 minute previously unreleased ” From A Twinkling Star To An Angel Passing”. A musical journey that starts with Bjorn singing and, naturally, ends with Frida singing. It also goes to prove how much hard work went into their recording sessions even at this late stage in their career as ABBA. However, I can’t lie and say I wasn’t disappointed that the fantastic “Just Like That” didn’t appear on this release. It is a wonderful song that can be heard (in rubbish sound quality) on YouTube. Therefore, I have come to the conclusion that Benny and Bjorn, along with Universal, must be very happy that the public can access some of their unreleased recordings on Youtube for FREE. How very kind! Ok, here’s a dream sequence. The ABBA girls are back and BAO is in the studio to complete “Just Like That”. Ahh, don’t wake me, my dream is perfect! JLT is awesome!!!! It sounds as if you may have only just discovered JLT. You lucky so and so. on – line, but wanted to go into a shop, physically pick it up and take it to the till, to pay for it. I have been really surprised by the the response I ‘ve received though. Every one telling me how popular ABBA is (! ), the till operators – and all ‘hip’ looking youngsters as well, and that they did have it in, they just all sold out! So, an on-line purchase it will be, then.